I opened my mouth but words wouldn’t come out. Dr. Mizoguchi (I’ve changed his name and everyone else’s, including mine) looked at me quizzically. He had dedicated his career to helping families in straitened circumstances. But he had no idea what it was really like to have an infant who had forever lost the speech and thinking parts of his brain and two children who were behaving strangely. It was a beautiful Seattle afternoon in March 1998, and we were standing in the sunlight by a big window. I looked out across the city and the lake to the mountains—green at the base, then brown, then white—and the clear blue sky. At first I felt as if my life were over. 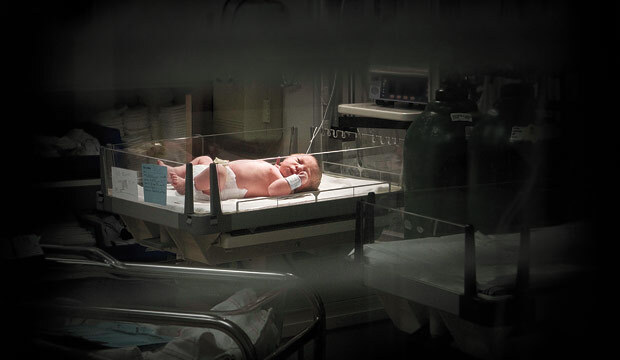 While Ethan was in the incubator, I thought of him as a beautiful painting behind glass in a museum, distant and not quite real. And then he was a demonic CT scan, a mysterious, massive hemorrhage advancing on his lovely eight-day-old brain. But as I spent night after night in the ICU, rocking him, feeling his weight against my arms and lap, savoring his sweet baby smell, I gradually understood that he was real and that he’d be around for a long, long time.